The Pro Football Hall of Fame, one of the biggest sports attractions in the US, has appointed Tickets.com to run its ticketing services. The multi-year deal includes complete integration of Tickets.com’s ProVenue® platform into Museum membership and premier stadium ticketed events such as games and concerts. The Pro Football Hall of Fame is a huge attraction in Canton, Ohio, which is the birthplace of the NFL. 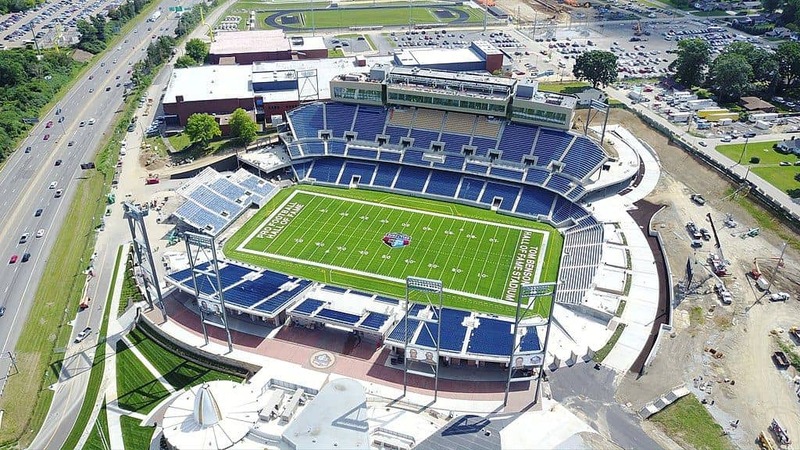 The organisation also stages major events, such as the annual Hall of Fame Game, Enshrinement and Concert for Legends, at its 23,000-capacity Tom Benson Hall of Fame Stadium. ProVenue is to build a full-service ticketing solution covering both venues as a means for supporting the Hall of Fame’s ambitious growth plans to reshape the fan experience for the hundreds of thousands of visitors it attracts every year. Jim Macris, manager of ticket operations at the Pro Football Hall of Fame, said: “We are excited to be working with Tickets.com. “Their team has been extremely thorough in their approach; understanding our challenges and requirements and matching up to these with an advanced technological solution that we are confident will provide us with scalability in line with our growth strategy. Tickets.com will enable the Hall of Fame to securely sell tickets online, create targeted marketing campaigns and deliver an enhanced customer experience. Tim Snyder, vice president of business development at Tickets.com, said: “Our partnership will be built from the Pro Football Hall of Fame’s important mission and core values and will bring forward a commitment to creating the ultimate patron experience.